Tami received her Certified Wellness Coach training through the Catalyst Coaching Institute. 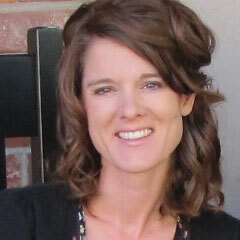 She realized her passion for wellness and nutrition after being diagnosed with Candida. Changes in the foods she ate was vital in helping to attack Candida, so there began reading and research about the amazing effects the right whole foods have on your body. She’s not perfect but strives to eat right and choose healthy foods and then make them taste good! She has grown to love cooking and is always trying out new recipes. Tami loves the outdoors, along with her husband of 20 years and two kids. Tami enjoys a variety of outdoor fun from just sitting outside to read to road biking, tennis, skiing, etc. She also has a new love for yoga, enjoying the all-around benefits of strength, balance, stress-relief and more. Wellness is a passion of Tami’s that she hopes is apparent as she helps others.